In the human world, there are special days to celebrate moms, dads and all the amazing things they do. Zebras have pretty much the same custom — but because we have so much energy, we try to do something special for our parents every day. 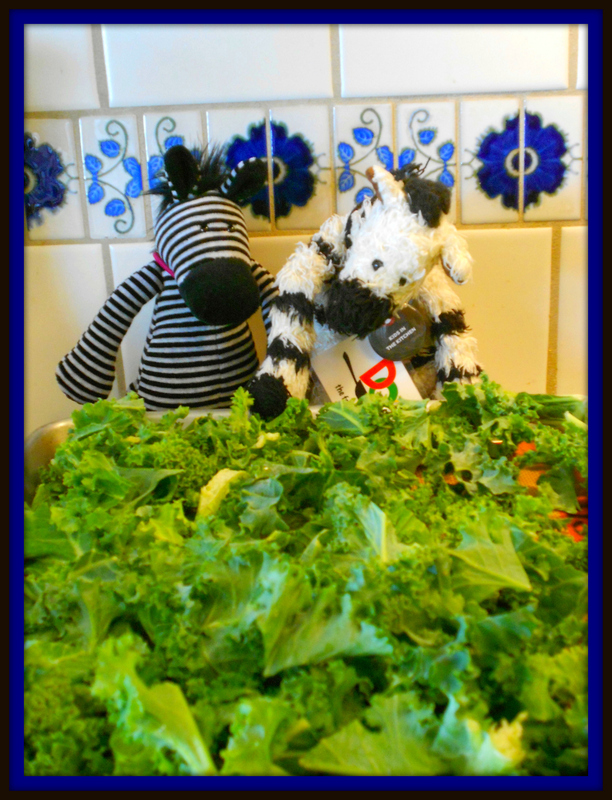 My latest surprise for ZeMom & ZeDad was creating a special hoofmade treat just for them. 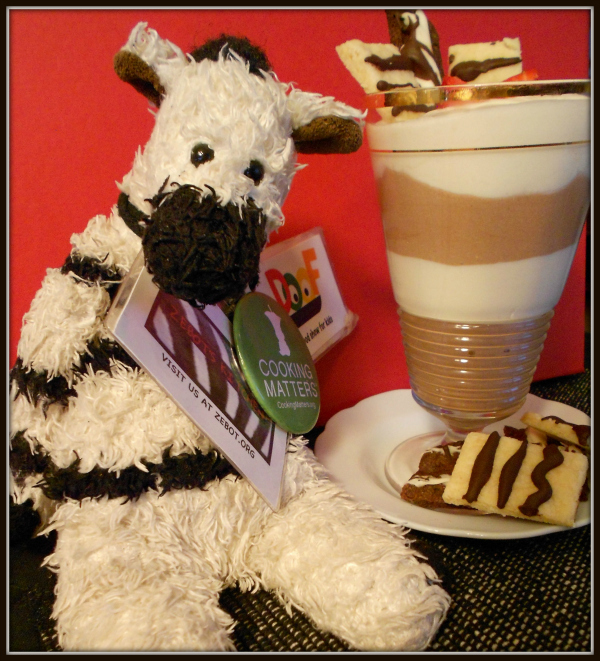 Because ZeMom is the sweetest zebra ever, I wanted to make her something sweet – preferably with stripes. She’s very big on healthy foods, so that was also a factor. 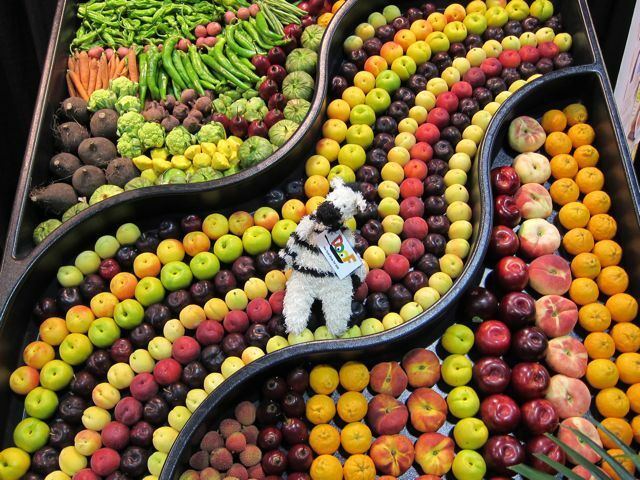 As for ZeDad, well, he’s one of those guys who LOVES any kind of desserts, especially decadent ones with stripes. The question was: could I make something that was striped, decadent and still reasonably healthy? I also wanted to be able to use lots and lots of imagination, as I think that is one of the best ingredients ever invented. 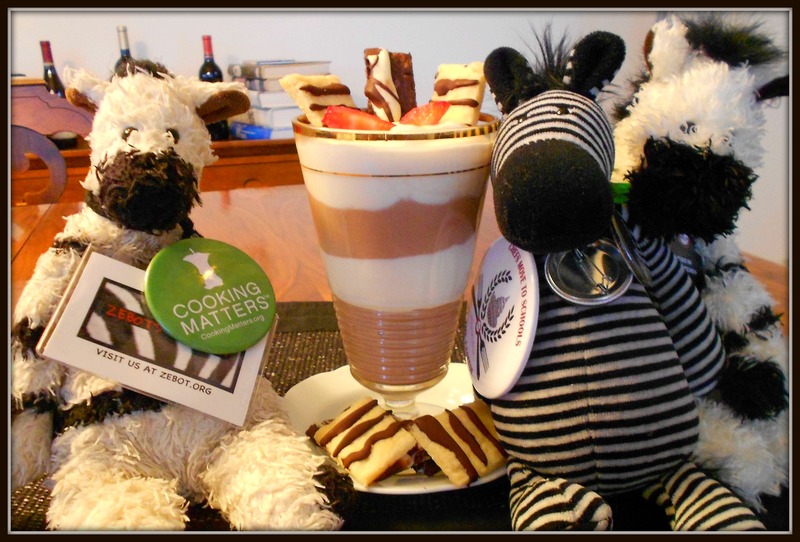 Chef Nora can teach anyone to bake–even zebras! 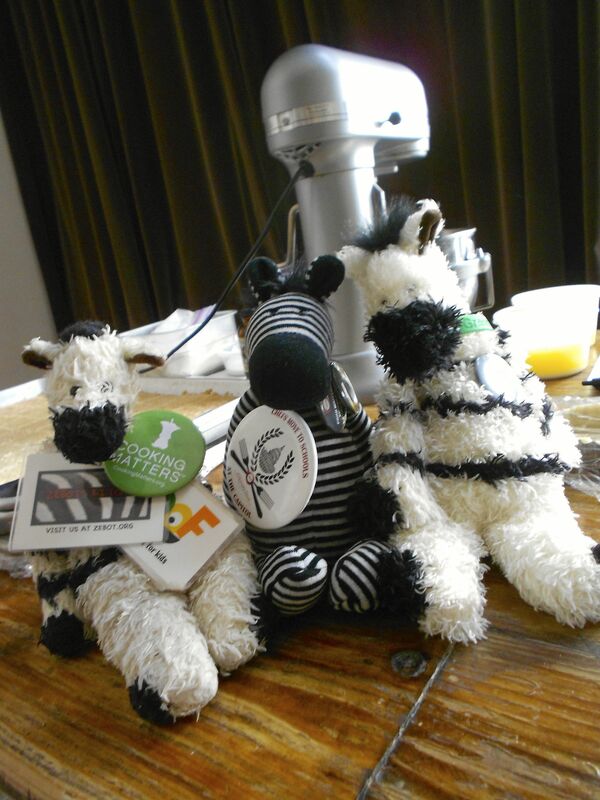 To get some expert advice, my favorite zebra kitchen pals and I went to visit our pastry chef friend, Nora Tong. If anyone knows how to make the ultimate desserts, she does! Chef Nora was nice enough to invite me and my buddies to come a class that she was teaching to professional bakers and super-great home bakers from the Bakers Dozen. 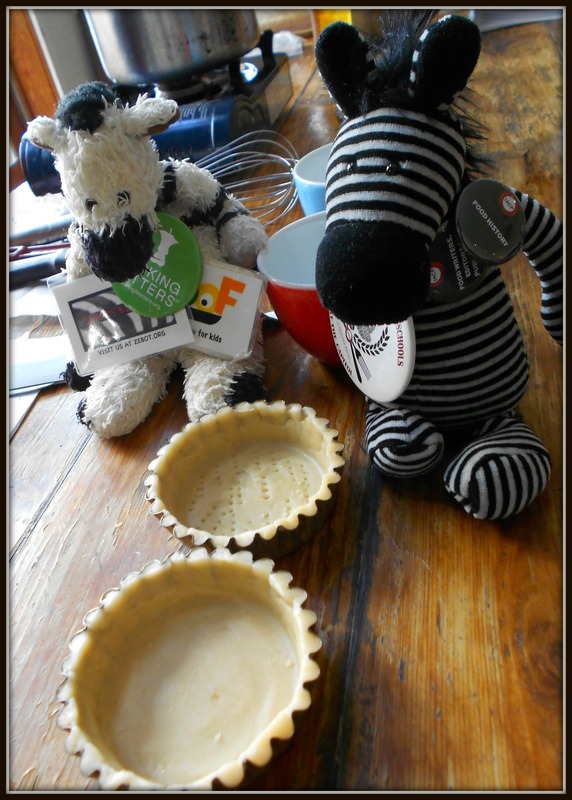 She was sharing her secrets for making perfect tarts, but she said that we could use our imagination to transform the recipe into almost anything else we wanted—including something striped! 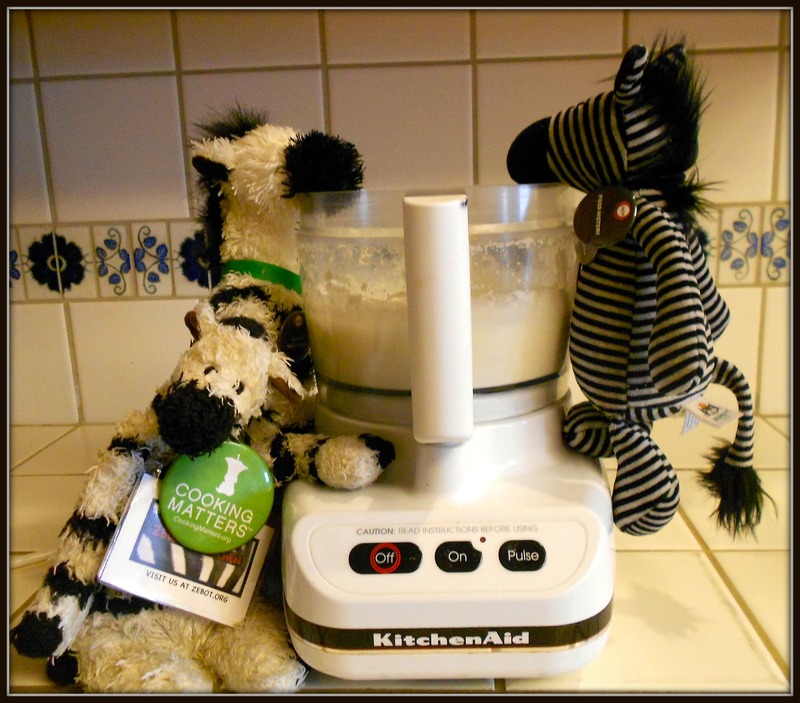 Well, in this case, the right recipe had to be super-easy, striped and totally zebraproof. Chef Nora had the perfect one: she said we could turn her super-buttery shortbread tart crust into super-buttery striped shortbread cookies. Those could be the decadent part of our surprise. 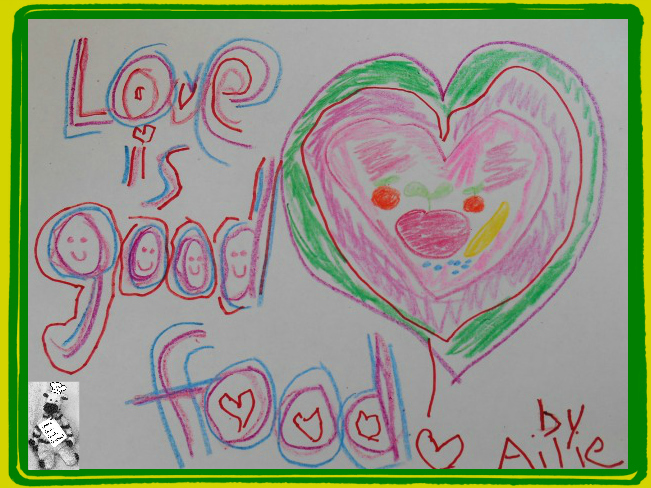 For the healthy part, she advised us to use even MORE imagination. 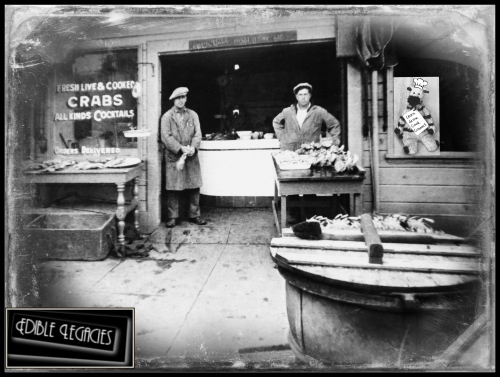 Mise en place is a great start that guarantees a happy ending! 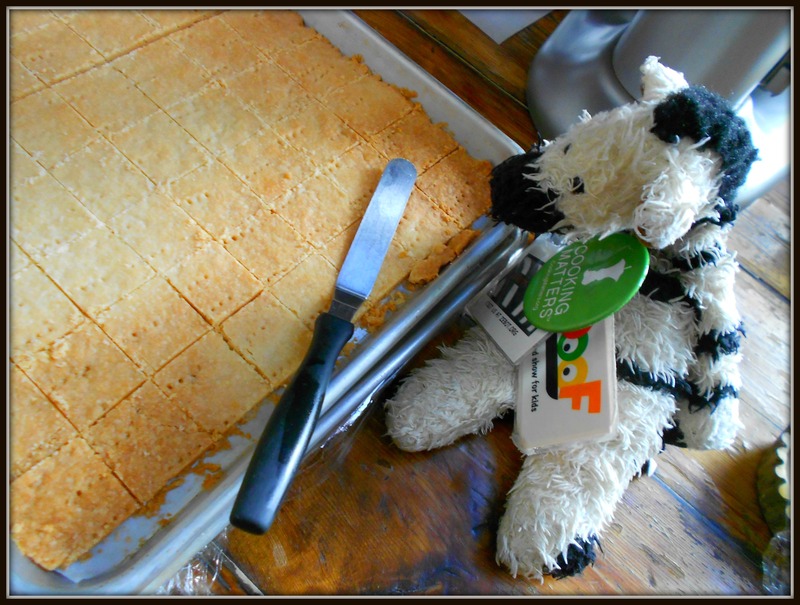 But first, we had to learn how to make the shortbread. 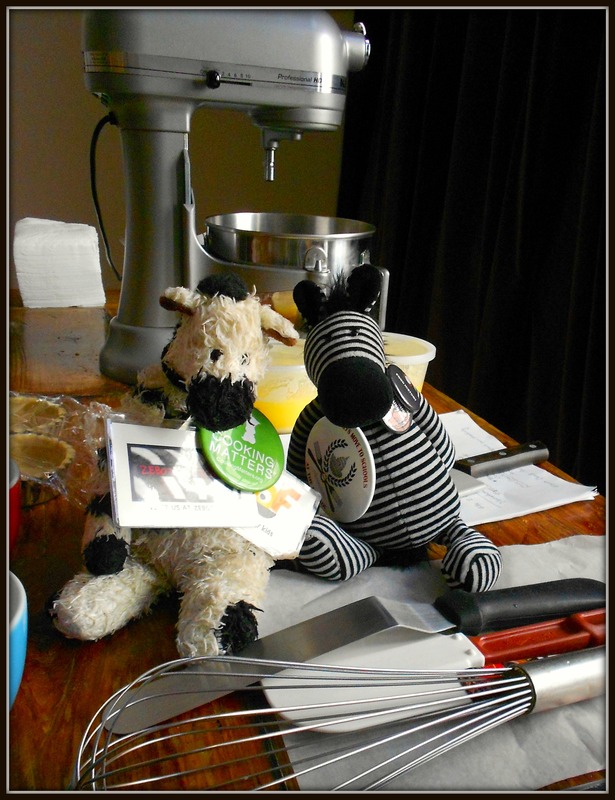 Chef Nora said the first thing that both zebras and professional bakers need to do is to get out all our ingredients and baking tools, then re-read our recipe to make sure everything is clear. This is called “mise en place,” which is French for “to put in place.” Why was Chef Nora using a French term? Because LOTS of the world’s great chefs are from France, so other chefs and bakers do this out of tradition. Mise en place is a great way to make sure that you don’t end up in the middle of preparing your recipe, only to realize that you’re missing an ingredient, forgot a tool or don’t undertand all the steps. Shortbread dough looks all crumbly before you press it into your baking pan. 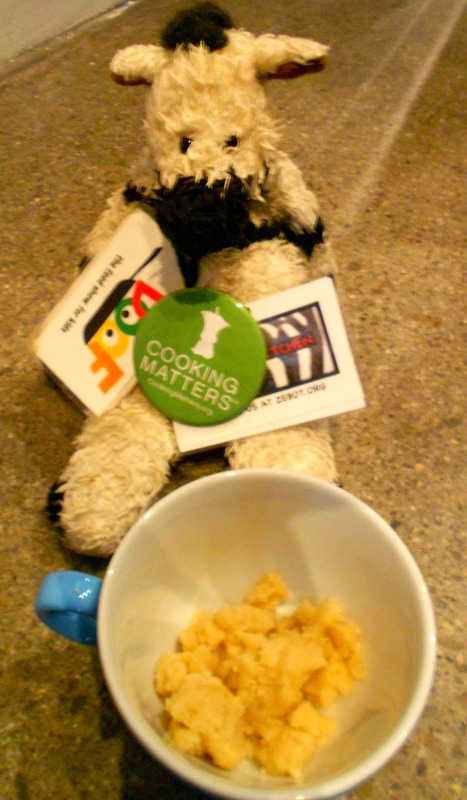 Next, we learned how to mix a shortbread dough. It’s just the way you’d think you would do it: put all the ingredients in a bowl and mix them up! We used a KitchenAid stand mixer, but you could also use a hand mixer, a big spoon—or even your clean hands (or hooves). If you want to make chocolate dough, you need to melt chocolate first. 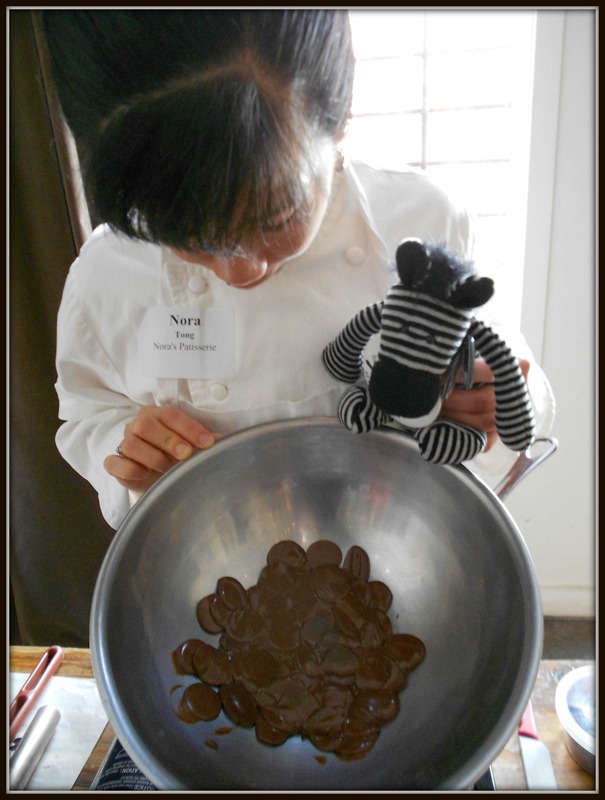 Chef Nora showed ZoeBot how to do it on a burner, but she said you can also melt chocolate carefully in the microwave. By the way, if you’re a kid or a zebra, you ALWAYS need an adult’s help with this–or anything else that involves heat. If you want, you can substitute cocoa powder (which is very healthy and super-chocolaty tasting). This is one of our favorite zebra tricks—you’ll find it in our recipe. See the little holes in one tart dough? That’s called “docking”- and you use the same technique for cookie dough. Then you bake your dough until it turns into a tart crust or cookies or whatever you’re making. If it’s a batch cookies, you cut them into little squares (just like in the photo below), then top them with whatever yummy thing you like best. That sounded super-easy to us. 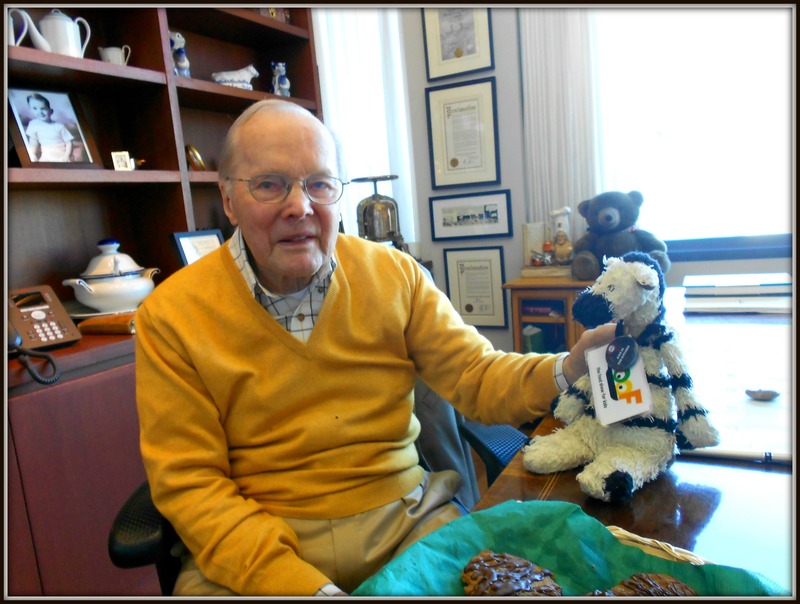 Now we had to think of something ZeMom-healthy to go with our ZeDad-decadent cookies. This is what shortbread cookies look like after they’re baked. And THIS is what they look like with yummy toppings! Chef Nora topped hers with a mocha cream and fresh berries. When we got back home, we looked in our refrigerator to see what was in there. We wanted something sweet and creamy and healthy and somehow striped. My cousin ZoeBot had the brilliant idea of mixing up cottage cheese and yogurt and honey and vanilla.We put it in the food processor to make it creamy. What did we do for stripes? We love the way super-creamy treats feel in our mouths, so we used a food processor. Well, we added cocoa to part of our sweet, creamy stuff. Then we made black and white stripes by layering it all in beautiful tall glasses. 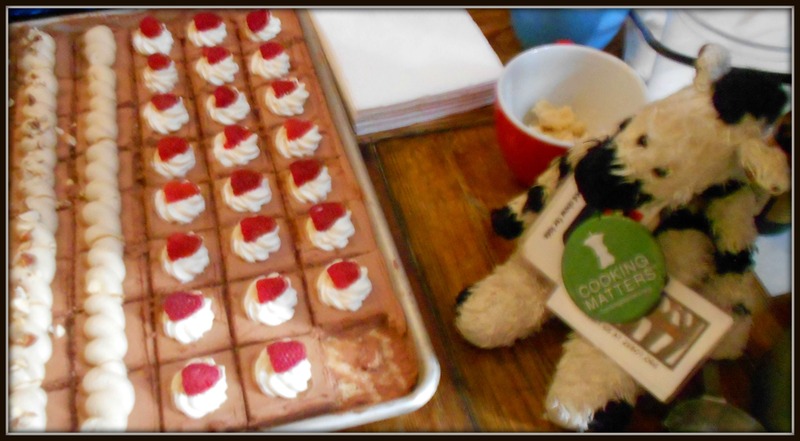 ZoeBot reads a lot, so she knew that the striped, creamy, layered desserts are called “parfaits.” Guess what language that is? Yep: French! And guess what it means? Besides being a dessert, it means “perfect”! And that’s how we knew we’d found the perfect dessert for our parents. They’ve done more than anyone else in the whole universe to make our lives perfect—and also sweet, imaginative, healthy and striped. This is what being a zebra is all about—and we wish the same for you. Happy Mother’s and Father’s Day (every day) to parents and kids and zebras (everywhere)! Hurray for striped cookies and parfaits! A note from ZeBot: Because it’s hoofmade, my dessert shows how much I love my mom and dad. And it really describes them: striped & parfait (French for “perfect”!). Mix the flour and sugar in a KitchenAid stand mixer that’s fitted with the paddle attachment. Add the melted butter and vanilla, then mix until everything is combined. (If you don’t have a stand mixer, you can also use a hand-held mixer or a wooden spoon to mix the ingredients). 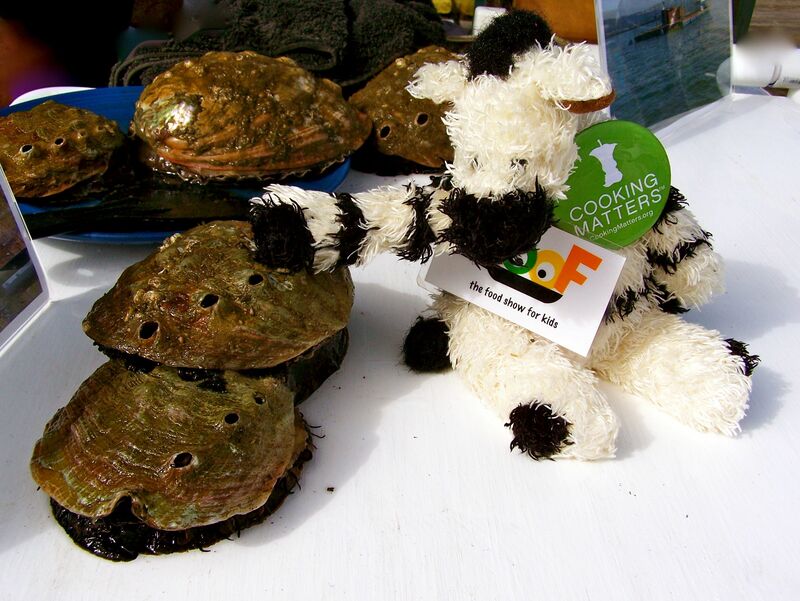 With clean hands (or hooves), press the dough onto a cookie sheet. It’s okay if the dough seems a little crumbly – just smoosh it all together. Put the cookie sheet into a pre-heated oven, then bake until the shortbread is a deep golden-brown (this should take about 12-15 minutes). Let the shortbread cool a bit, then ask an adult to help you cut it into whatever shapes you like – you can use either a pizza cutter or a knife to do this. Note: If you want zebra stripes on your shortbread, ask an adult to help you melt some semisweet or milk chocolate chips (on the stovetop or in the microwave). Then use a spoon to drizzle the melted chocolate onto your shortbread shapes. Makes about a dozen small cookies to go with your striped parfaits. Put the cottage cheese, yogurt, vanilla and honey into the work bowl of a food processor fitted with the blade attachment. Make sure the top of the bowl is on tightly, then push “start” and watch everything spin around until it’s completely mixed and velvety smooth. Using a big spoon, carefully move half of the creamy mixture into a small mixing bowl (this will be the vanilla part for white stripes). Don’t worry about measuring – it doesn’t have to be EXACTLY half. Add the cocoa to the fluffy, mixed-up stuff that’s still in the food processor, put the lid on and mix everything up until it’s dark and chocolaty. To create your parfaits, use a small spoon to make creamy layers of white and chocolate in clear dessert glasses. You can start with either chocolate or vanilla – and make the layers as thick or thin as you want. Decorate the parfaits with sliced strawberries and some of the shortbread cookies. Make it look really cool! Makes four small, two medium or one GIANT parfait. Make a sweet treat for your parents today!